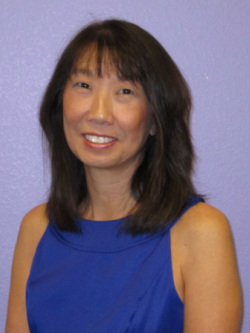 Dr. Janet Chao has been with the Melmed Center since 1995. She brings over twenty-five years experience from employment in public schools, clinics, and private practice. She is originally from the Chicago area and attended University of Illinois at Champaign-Urbana. She received a Masters degree in School Psychology from Illinois State University and earned a doctorate in Educational Psychology from Northern Illinois University. Career opportunities allowed her to specialize in early childhood assessment, low incidence handicaps, mental retardation and behavior management. Dr. Chao has a strong commitment to assisting children and families. Using an eclectic-pragmatic approach, she provides diagnostic evaluations, counseling, behavior management consultation, and social skills groups to facilitate the child’s success in primary environments (school, family and peers). The Melmed Center belongs to the APPIC consortium and Dr. Chao supervises clinical psychology graduate students in practicum, pre-doctoral psychology interns and post-doctoral psychology residents.